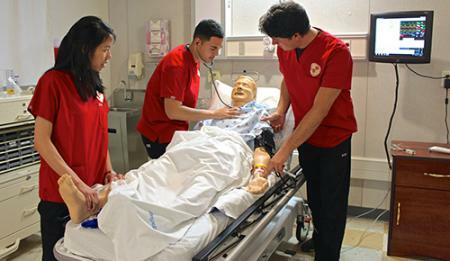 The Accelerated Second Bachelor of Science in Nursing (ASBSN) program, offered at our Stockton Center campus, is designed for people who hold a baccalaureate degree in a field other than nursing and are aspiring to become registered nurses. The program is 59 units and can be completed in 17 months. At the completion of the program, students are awarded a Bachelor of Science in Nursing (BSN) degree and are eligible to take the National Council Licensing Examination for Registered Nurses (NCLEX). Passage of this exam is required for employment as a Registered Nurse. In addition, graduates are also eligible for certification as a Public Health Nurse in California. The ASBSN program has been approved by the California Board of Registered Nursing (BRN) and is fully accredited by the Commission on Collegiate Nursing Education (CCNE).